By the way, thanks so much Chris by sharing with us your knowledge! Yes, very good idea George! Hey Chris – I found your site via feedly so kudos to them for hooking up a killer app. 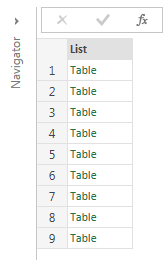 Secondly it seems like the logical thing to do with table.partition. I would see even some use in this to group out salesman performance for a particular year based on the total dollar value sold. So your buckets would be total dollars/value sold over a predefined period and then your count would be the number of salesman for the company that fit into each of the categories of total value sold. Anyway beauty explanation of this. Thanks for sharing! I thought I would share with you all an interesting read on how to use the table.partition function in Excel to create a histogram. The content is directly from Chris Webb’s blog and definitely is an awesome read if you are interested. 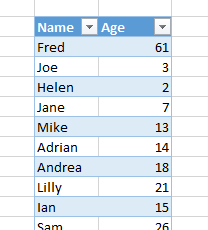 I started to think about what other ways this data table grouping function could come in handy and thought I would look to you, the readers to see if you had any interesting ideas or inputs! Enjoy and make sure to tweet Chris’ content! Wow, that’s awesome. I was able to follow this and make a histogram for a project I’m working on. I do not know MDX so my question is with the buckets you made (0 to 10, 10 to 20, 20 to 30, etc.) is that “0 inclusive to 9 inclusive”, “10 inclusive to 19 inclusive”, “20 inclusive to 29 inclusive”, etc.?? Do you mean M instead of MDX? M is the calculation language of Power Query. Yes, thank you for clarifying. One of the challenges I’m having with this is my data is very skewed, which means the buckets don’t group the data in a useful way. What I really need is a way to find the median value and then create 5 buckets either side of that, spaced out in a sensible way, perhaps using standard deviations. Thanks for pointing me in the right direction though, it’s proving to be quite a challenge! Hi Chris, where can I put the M code? Create a new query with the “Blank Query” option, then open the Advanced Editor window, delete everything there and paste in the code from this post.